Win a Super Bundle of PJ Masks Goodies and Kindle Fire! Get set for brand new adventures with Catboy, Owlette and Gekko this spring as the second series of Entertainment One’s hit show PJ Masks is soaring onto Disney Junior for the first time! For a whole lot more PJ Masks hero power, tune in at 4.30pm on Wednesday 28th March and then every following Wednesday at 4.45pm to see the fantastic new episodes. In the show’s second series, young fans will be introduced to new characters and see the pyjama-clad trio challenged with missions that take them beyond the city and onto even bigger adventures! Currently one of the nation’s favourite preschool shows, PJ Masks follows Conor, Amaya and Greg, who attend school like everyone else but when something goes awry in the city, filled with curiosity and a sense of justice, they get ready for their mission! As day turns to night, the heroes put on their pyjamas and activate their animal amulets, magically transforming into their dynamic superhero alter-egos and becoming the fantastic PJ Masks team. 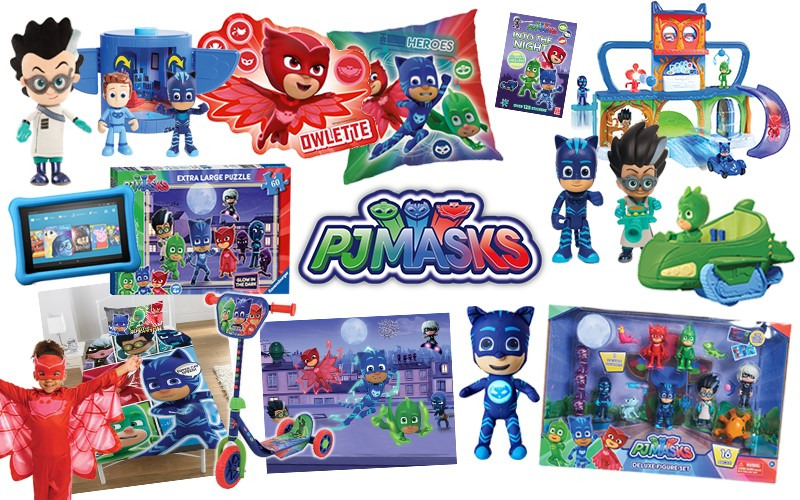 To celebrate the launch of PJ Masks series two on Disney Junior, we’re giving a lucky reader the chance to win a Kindle Fire 7 Kids Edition alongside a huge bundle of PJ Masks goodies that includes a Scooter, HQ Playset, Figurines, Vehicles, Plush, Dress-Up, Puzzles, Duvet Set, Cushion, Wall Mural and Stickers, DVDs, Sticker Book and more! New Members - Join Woman's Weekly Competition Club today for Free.